Here is a super method for teaching place value to kids who are blind. Math activities for blind students are some of my favorite lessons to plan! I used a large piece of cardboard and three varying textured papers I bought at Hobby Lobby to create a tactile graphical organizer for Madilyn. Each textured space represents a place value. The example shown below teaches hundreds, tens, and units. 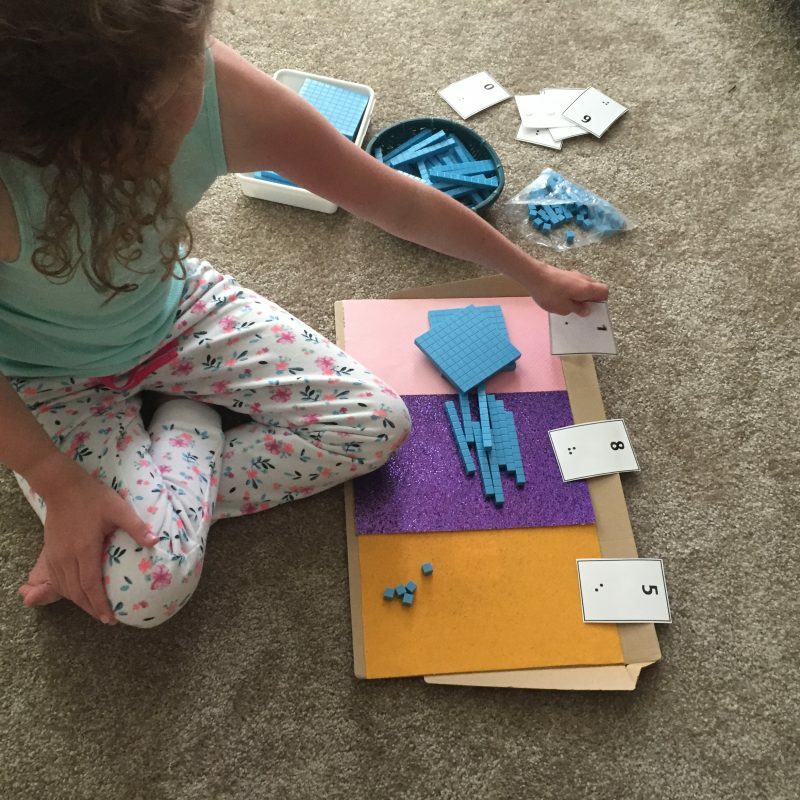 By combining this tactile organizer board with base ten blocks, you will create a multi-sensory learning approach to teaching the concept of place value to students with visual impairments. If you make your own tactile graphical organizer, we’d love to see some pictures and hear how it went! Please share your ideas and comments with us in the comments below! There are many other ways to use this board in other lessons, too! Meaning it’s time well spent on creating this simple & cheap DIY tactile graphical organizer! If you enjoy this activity idea, please share it with your friends, too. Ready to learn everything you need to know about braille to support your child who is blind? Enroll in Sensory Sun’s braille|SCHOOL for Parents. Hurry, program begins September 1, 2017! Check out this fractions activity using foam circle stickers!